Samsung is pretty proud of the Infinity-O displays found on the Galaxy S10 series. But, as it turns out, the company also recognizes that not everyone is a fan of the front-facing camera cutout. Because of this, an option to disable the design feature has been hidden away within the settings menu. Like the notch, the alternative to having a visible camera cut-out is an artificial upper bezel that, in this case, is pretty thick due to how low the display hole is with respect to the actual bezel. Nevertheless, the darkened display area is still useful. Rather than being deactivated entirely, the area simply adopts a black background. This means that, while apps no longer extend to the very edge of the display, things such as app notifications, network signal, the battery percentage, and other useful information is still shown within the artificial area. Naturally, activating the feature won’t be for everyone. 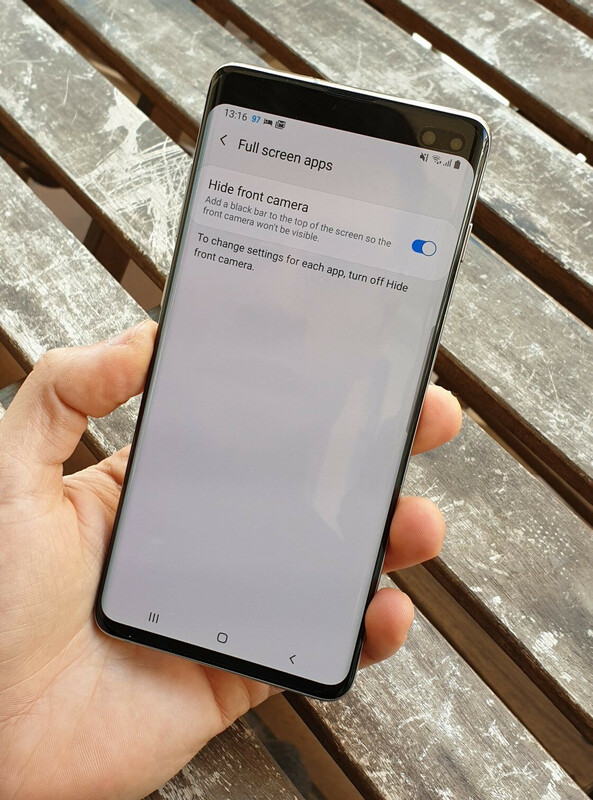 But for people encountering compatibility issues with certain apps – in certain cases information is being displayed behind the camera cutouts – this ‘Hide front camera’ mode is a temporary solution until apps have been updated with support for Samsung’s latest flagships. Good to know. But after seeing it first hand, I actually kind of like it. Hide it for what? 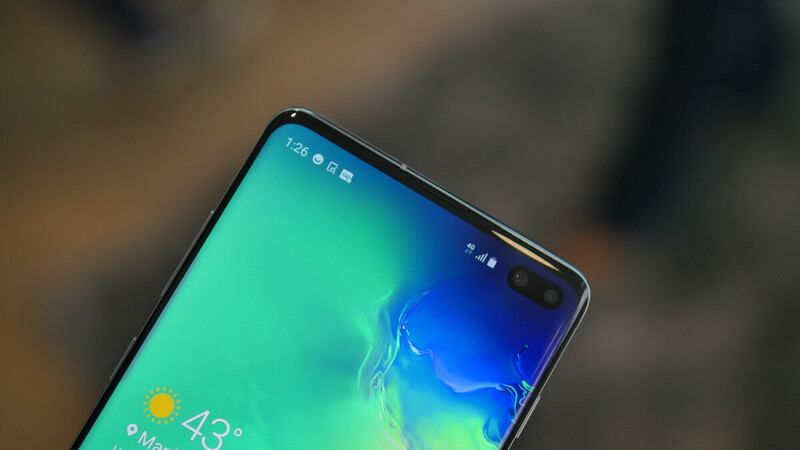 I don't hide the notch on my iPhone, and won't hide the cam hole on my Note 10. Aye, used it yesterday in the showroom, I forgot the holes after 15 minutes. Hey samsung, why are you only giving philippines the white, black and emerald green options? My wife wants the flamingo pink and my other relatives want the blue. Don't tell me that we still have to pay extra charges just get them? For years, this is not what I don't like with you samsung and this is the same reason huawei, oppo and the rest of chinese phones are winning in asian markets. You're a big company and you can't even ship a few new colors in my country. Can we trade for emerald green? The US never gets green phones and I don't understand why. They always limit the color for each country, must be company's inventory color coding. If you like green, you have to buy from asian online markets. If I want other colors I have to buy from US amazon. Samsung may not notice but most Filipinos especially women go for bright colors. I'm wondering if you're actually expecting Samsung to respond on PhoneArena. I know this sounds conspiracy but the easiest way for companies to gather consumer opinions is to go to websites with comments. Those surveys about keeping the headphone jack or if you like apple's latest UI? Yup, they read it, alright. I was searching yt for s10 reviews and 5 out of 5, I get huawei ads mocking them with "face facts, you can't bank on 2d." Trust me, I feel it in my bones. Would definitely hide it. The asymmetry is just wonky design. Cameras on the back can be off to the edge, the front (whether notch, teardrop, or hole) should be dead center. Can you make the navigation bar black too? How is this any different than a notch?? Lol it's the same damn thing! It is very different to a notch (not including the teardrop design. It takes up less screen area, does not look unsightly and will allows for bought information to be shown in the status bar. It is definitely different then the notce. 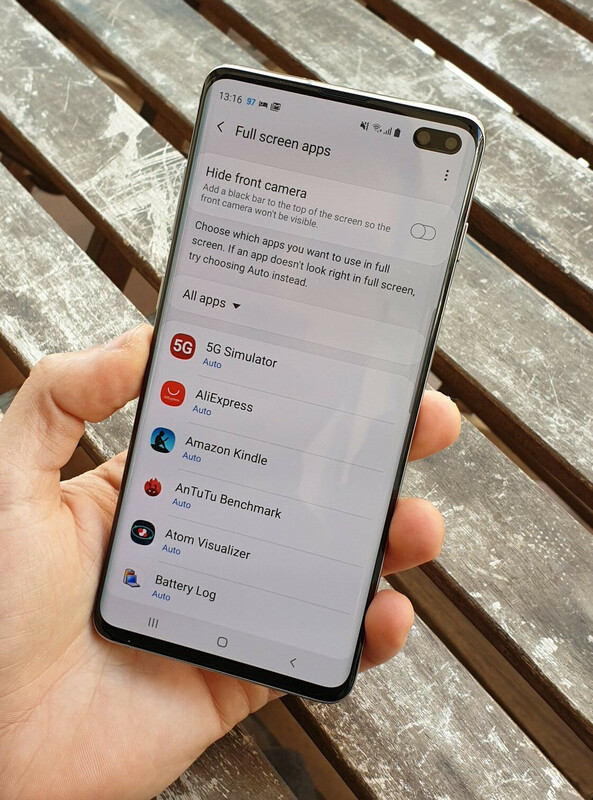 I hope that Android developers would adopt to all notch designs, how about an ombre effect going black to the top to hide a teardrop, a notch, and all infinity O-V-U whatever Samsung calls it. Other than the S10 is in the shape of an oval and my LG v20 is in the shape of a rectangle, what's the difference between my cutout/status bar an S10 cutout/status bar? Except that the V20 is the bezel king compared to S10. Notches are stupid, but this is even uglier. If it's going to eat that much space, should've just left the bezel intact and made the phone a little bit taller. Not what I was expecting from Samsung. On LG phones I've tried, you can hide the notch in a similar fashion, but the notification bar will still be in line with the notch, just white on black instead of black on white (normal). Samsung should have done that, with their method they essentially create dead space next to the camera, unlike LG who still utilized it. Not hating on Samsung, I just think that was a poor decision lol. This is like Google implementation. It's bad.